I hate bath times! There's nothing worse than having to brush long wet hair after bath times and I have two girls which both need doing. You can imagine the scene can't you: Mummy pulling at their hair whilst Girl's screaming and crying. It's not a pleasant scene or should I say it wasn't a pleasant scene but is now! A few weeks ago we were sent a fabulous BumbleeBee Tangle Teaser to try out for this review. I wasn't too sure if it would be any good or not but boy was I wrong! Denman's are known for their great quality brushes but I'd never tried their kids range before, I'm not sure why as it would have saved me so many hours of knots and screams before now. My girls were both very willing to help me out and put it too the test. First off it's got a cute Bumble Bee design on a very attractive bright yellow brush so straight away it was seen as fun and not traumatic which was great.It has super-soft nylon bristles that gently glide through the hair, removing the knots and tangles with ease. 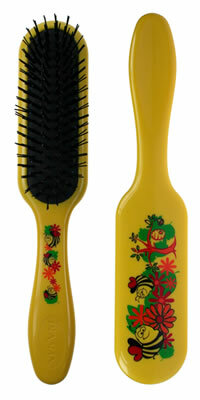 It also has an air-cushioned pad which follows the contour of the head for smooth damage-free grooming. After using the Tangle Tamer just once I was amazed, it really did do what it said it would. No more tears and tantrums, just nice smooth hair in minutes. 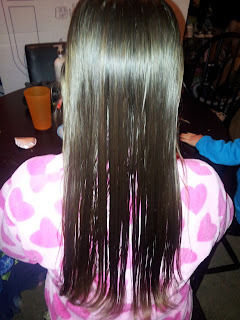 My eldest daughter Chloe has very long hair as you can see, the BumbleBee Tangle Teaser did an amazing job on her hair. 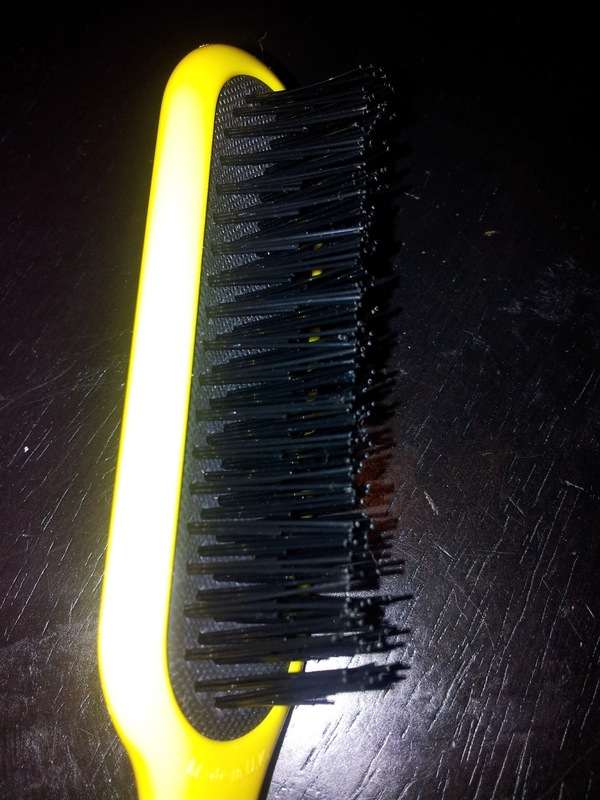 It was tangle free in just a few minutes and there was no pulling or yanking. It glided through her hair so well, I was so pleased. In fact I was more than pleased, I was amazed. The BumbleBee Tangle Teaser is awesome and I will be using it again and again. It's a real little life saver in our house now, we wouldn't be without it. A very well deserved 5/5 from all of the girls here at Mummy Of 3 Diaries. A huge Thumbs Up! Buying a tangle teezer was the best thing i purchased! When my hair is wet its awful & goes all tangly,when i first saw tangle teezer i thought how the hell would a piece of plastic make any difference & at £10 was quite reluctant to buy it but im so glad i did! 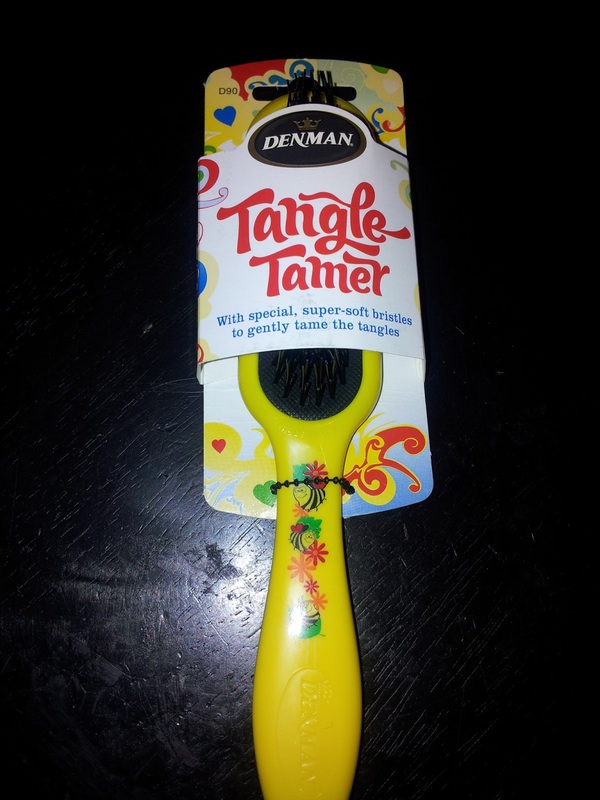 The denman tangle tamer looks even better as its got a handle on & would get a better grip-esp with wet hands!